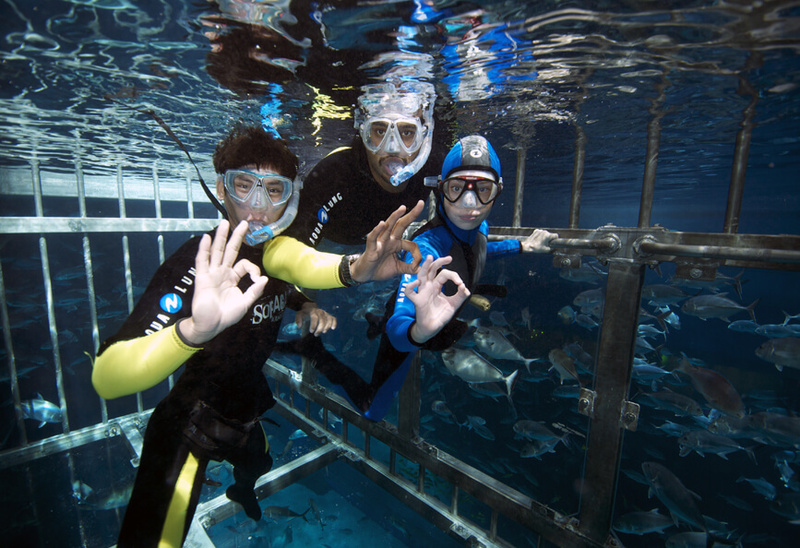 Snorkel in Dubai Aquarium for a close encounter with its thousands of aquatic inhabitants. 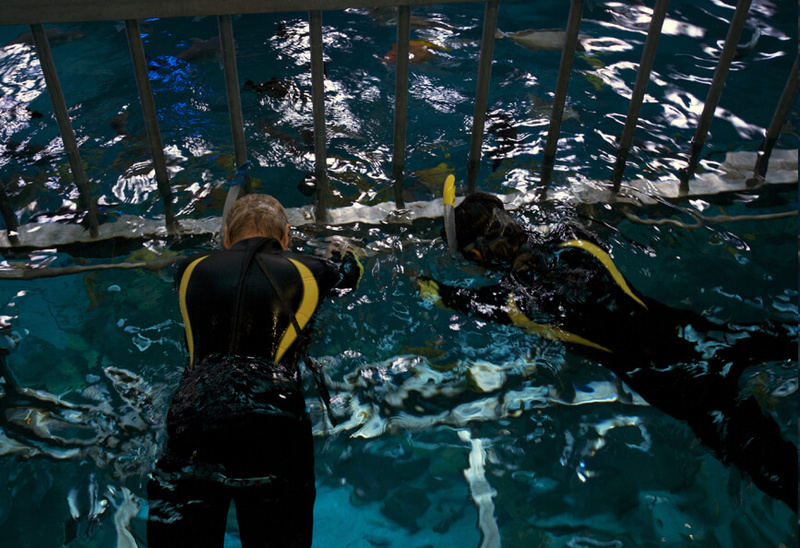 Open to all 5 years and older, this experience gives you 30 min of in-water snorkel time with the reassurance of our purpose built cage, with a 30 min briefing beforehand. The aquarium is one of the largest suspended aquariums in the world and home to more than 33,000 animals. There are over 400 sharks and rays in the tank, including the world’s biggest collection of Sand Tiger sharks. Other shark species include black-tip and white-tip reef sharks, zebra sharks, wobbegongs, grey reefs and nurse sharks. There are also many ray species in the aquarium including cow-nose rays, fan-tails, eagle rays, leopard rays, shave-nose rays and bowmouth guitarfish. Snorkeling is run every half hour from 12:00 - 1:00 and from 15:00 - 19:30. At the end of your diving experience you will receive a free ticket to visit Underwater Zoo. All snorkeling gear and a wetsuit are provided. Towels and disposable swimsuits are available. Ask your instructor to film your dive using his GoPro, if you like what you see you can buy the memory card to share with friends and family later.